Posting a couple of my favorite images I clicked in Shimla. If you look closely, both the side panels together read “A Story Called Shimla”. The city was the summer-capital for British India. It currently, is the capital for the beautiful state of Himachal Pradesh. 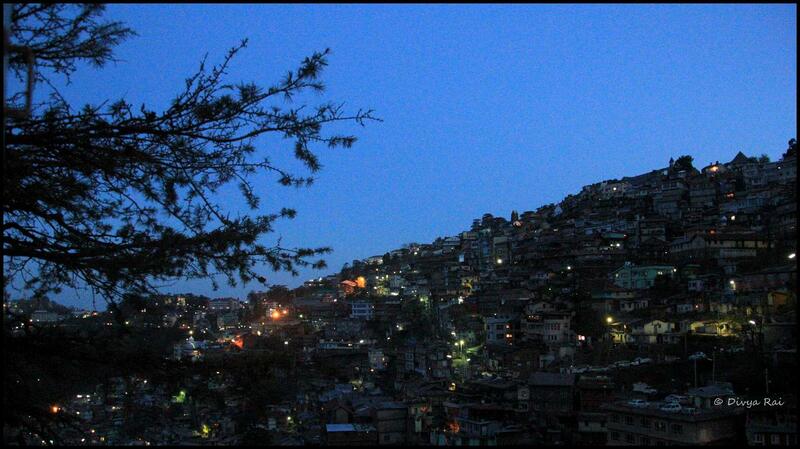 From my perspective, it also happens to be one of the most densely packed of the hill-stations in the country. It also happens to be the city and roads with deadliest of curves. I clicked the next image during the time of the day which is known as the ‘blue-hour’ in photography. The city brought together the beautiful amalgamation of the elements of both, day and night. Amazing clicks 🙂 Good Wishes. Btw i loved your blog name. Nice ….blogs!!! Like it !!!???? keep it up!!??? ?